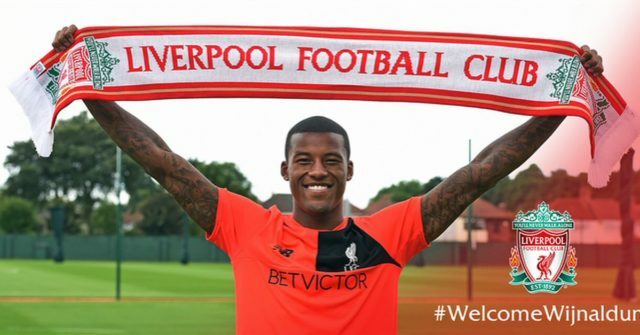 Our new £25 million man Gini Wijnaldum is in line to get his first outing in a red shirt when we play AC Milan in the International Champions Cup on Saturday night (local time) / Sunday morning (UK time). According to a report in the Guardian, England duo Daniel Sturridge and Nathaniel Clyne are also set to play their first football of the pre-season – but the Belgian trio of Simon Mignolet, Divock Origi, and Christian Benteke are further behind in their fitness plans and might have to wait until the Roma match next week. None of the six players travelled from our Palo Alto training base to the Rose Bowl stadium in Pasadena this week for the game against Chelsea. The England duo and the three Belgians were given extra time off after their European Championship exploits, while Wijnaldum was given time to integrate with the squad and meet his teammates before throwing him onto the pitch.